Within the framework of Project TÁRS, the methodological guide to the Deinstitutionalisation Plan (DP) was prepared, the professional and methodological tool for the complex planning process of deinstitutionalisation of residential institutions. We are providing useful, practical assistance to participants of the deinstitutionalisation process, background materials on methodology and training programmes for planning the entire process that will eventually lead to the radical transformation of service provision and improve the residents’ quality of life. A Subsidized Housing (SH) protocol and a Service Circle methodology is being prepared within the project in order to establish and operate a uniform and quality SH service provision system across the country. The SH protocol will be created after detailed discussions with both professionals and advocates to clarify the professional content of Subsidized Housing, including a breakdown of the entire process, detailing target group characteristics, responsibilities of SH participants, description of the set of criteria for the operation and procedures of Subsidized Housing, as well as the set of methodological tools to be applied for the provision of services within the service circle connected to Subsidized Housing. We are assisting the transformation process that affects entire institutions and organisations, including funding authorities, with the methodology of organisational transformation concept and implementation protocol, supported by regular consultation and dissemination. Architects and rehabilitation engineers working on Project TÁRS established a set of criteria for designing barrier-free SH houses. The set of criteria clarifies the key terms and basic principles related to a barrier-free environment and provides recommendations and suggestions in order that the SH houses to be built would meet the needs of residents, accessibility and universal design requirements. We have also been providing free rehabilitation engineering consultation to institutions involved in deinstitutionalisation from the beginning of the planning phase. We are also providing consultation for the various needs that surface in different areas during this complex process, meeting the needs of the particular institution and matching the particular disability. Moreover, we are also operating an Institutional Coordinator Network, to ensure that the transformation process is regularly monitored by experts who provide tailor-made organisational support for each institution. Institutional coordinators live in different parts of the country, therefore, they are local professionals close to the institutions and new locations, who are able to provide weekly (or even daily) personal on-site support. Institutional coordinators are there to ensure that the information and expertise required would be available at the right place and time. Relocating people with multiple disabilities requires even more care and attention. We are creating a Multiple Disabilities (MD) model programme to support people leaving institutions. The programme includes gathering best practice, creating a methodology and supporting people and professionals involved. The model programme is based on a waiting list, with the aim to reveal experiences with waiting lists and to test the methodology. The methodology is designed to help people on the waiting list to apply for the types of services matching their needs, and hopefully, prevent their institutionalisation at residential facilities. Within the framework of Project TÁRS, we offer assistance to institutions implementing deinstitutionalisation with a range of training and educational programmes. The basic aim of trainings, further than sharing relevant professional information, is to change the attitude of professionals; to establish and strengthen a rehabilitation and recovery-centred approach for Subsidized Housing; ensure the appropriate preparation and implementation of relocation; sharing typical dilemmas, challenges and questions connected with SH; dissemination of knowledge and tested methods. Residents must be prepared for the transition by the institution implementing the process. 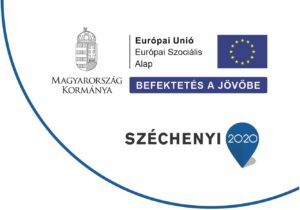 However, there is an element of training for professionals that deals with the knowledge and skills promoting independence and supported autonomy of people with disabilities living at institutions, which – according to our plans – will include mentoring at least 1,000 residents and monitoring their progress. ensures a support network for all levels of the system and the set of tools to promote occupational rehabilitation connected with Subsidized Housing. to plan and implement the assessment and monitoring of how institutions implemented deinstitutionalisation processes within the project by using specific monitoring methods. Our priority is to establish, launch and operate a National Network that includes all the institutions and professionals participating in the process of deinstitutionalisation. The primary aim of the Network is to strengthen and support changing attitudes, spread the human rights-based perspective; to generate horizontal and vertical cooperation and partnerships; to ensure a structured and interactive system of operations that enhances information flow and to encourage knowledge management. Project TÁRS also includes communication activities spanning the whole country to inform the general public and gain their acceptance of the social integration and independent living aims of people with disabilities. Communication activities also include informing and sensitising their social environment and related professional fields.